While I may not be familiar with the anime series “The Big O” in particular, I am familiar with the “super robot” genre of giant metallic robots getting up to stuff. Usually punching though. 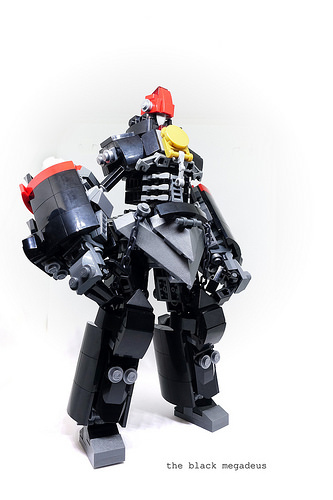 Two Rabbits has brought the eponymous robot, Big O, to life with a rather large build. Compared to minifigs, it’s not scaled up to be able to knock over a City skyscraper by accident, but it’s still big.